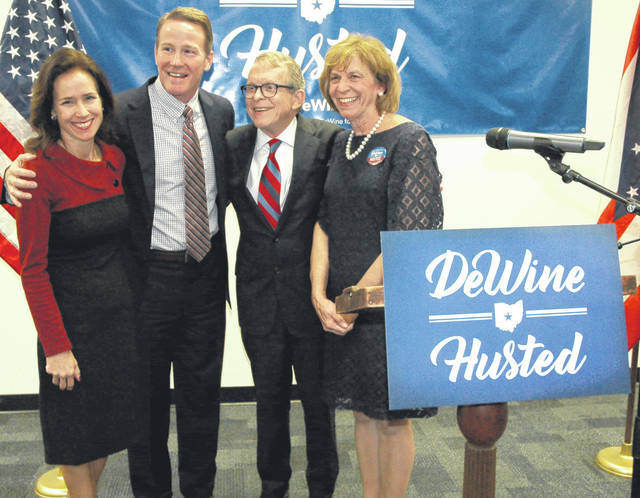 DAYTON — Citing a shared vision and common goals, Attorney General Mike DeWine Thursday announced that Secretary of State Jon Husted is his running mate for governor in the 2018 election. Husted told his supporters that all of his plans, goals, and visions would still be accomplished. “The only thing what will change is my job title,” he said. Both said they would be ready to tackle all of Ohio’s issues from day one. DeWine said fighting the opioid epidemic and ensuring all Ohioans are “career or college ready” out of high school are the two priorities. “We’ve got a couple of big challenges and Jon and I agree on what those two challenges are,” DeWine said. With Husted dropping out of the race to team up with DeWine, it leaves U.S. Rep Jim Renacci of Wadsworth and current Lt. Gov. Mary Taylor as the other Republican candidates. Both made announcements Thursday that they were staying in race. Via prepared statement, Taylor said she is in the race to win it and will fight for Ohio’s future. On the Democratic side candidates who have already announced include Dayton Mayor Nan Whaley, former state representative Connie Pillich of Cincinnati, state Sen. Joe Schiavoni of Boardman, former US Rep. Betty Sutton of Akron, and Ohio Supreme Court Justice William O’Neill. Richard Cordray, who just resigned as director of the federal Consumer Financial Protection Bureau, is expected to join the Democratic race as well. Gubernatorial candidate Mike DeWine announced Thursday that Secretary of State Jon Husted will be his running mate. 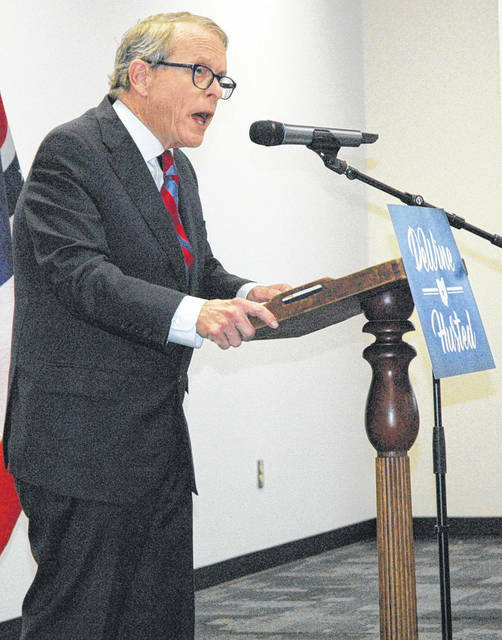 https://www.galioninquirer.com/wp-content/uploads/sites/38/2017/11/web1_DSC_4512.jpgGubernatorial candidate Mike DeWine announced Thursday that Secretary of State Jon Husted will be his running mate. Attorney General Mike DeWine (center right) and Secretary of State Jon Husted (center left) announced they are joining forces for the 2018 Ohio governor election. They are pictured with their spouses Fran DeWine (right) and Tina Husted (left). Contact Scott Halasz at 937-502-4507. This story was produced by the Xenia Daily Gazette, a publication of AIM Media Midwest, the parent company of Ohio Valley Publishing.